Eclectic, amusing and whimsical, Shook Twins’ laid-back and fun stage presence draws the listener in, allowing them to take the audience away on the adventure that is their live show. Tickets go on-sale today at EventBrite.com for an upcoming Aug. 1 show at Shakedown Bar in Vail. National and regional press accolades have poured in since the April 8, 2014 release of “What We Do.” The Portland, Ore., folk group has shared the stage with artists including: Ryan Adams, David Grisman, Mason Jennings, Blizten Trapper, Carolina Chocolate Drops, Sarah Jarosz, Laura Veirs, The FruitBats, Jonatha Brooke, JJ Grey and MoFro, The Indigo Girls, Crooked Still, Jason Webley, The BoDeans, Elephant Revival, The Head and The Heart, The Lumineers and many more. 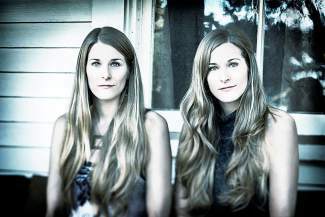 For more information on the band, visit shooktwins.com.